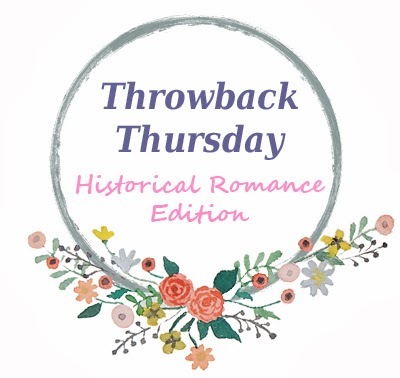 Watching Diana Gabaldon's Outlander series on Starz has made me curious about the time-travel trope, and I can only recall reading 2 historical romance novels with a time-travelling hero/heroine (Jude Deveraux's A Knight in Shining Armor and Sweet Liar). Lynn Kurland's debut novel in 1996 featured an author who travels back to time. It's also the first book in a series that has spanned 12 books, with the latest book published in 2012. 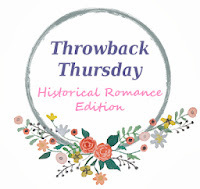 This author is one of my favorites and she has done great with her time travel romances. Great pick. I haven't read much time travel romances but I have been intrigued by Outlander and some short reads I've done. I tried to read a Lynn Kurland book years ago and couldn't finish it. But, I do enjoy time travel so I may give this one a try someday. Yeah for Outlander! !